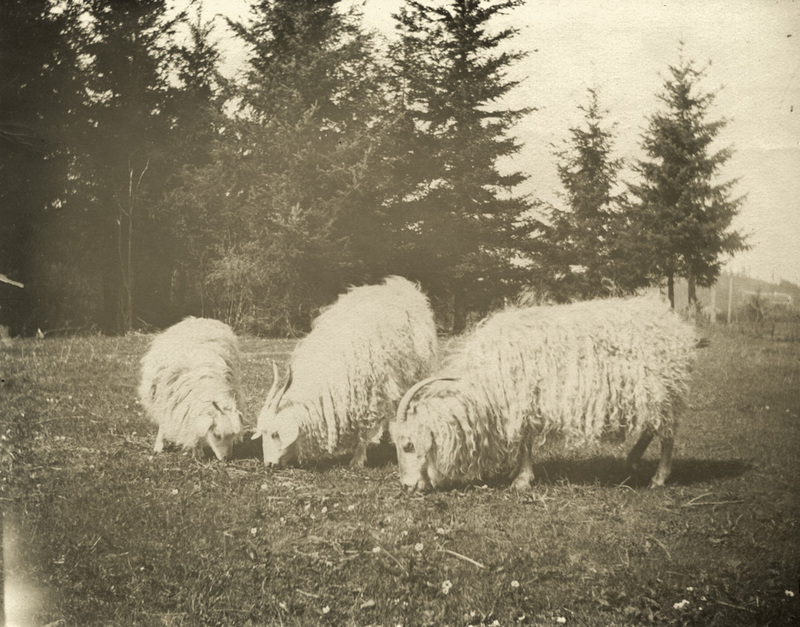 I tagged this image from the Blythe collection "sheep" when I scanned it, but figured I should check with the "experts." What do you think? Shaggy sheep? Goats? Other? Yep, Angoras. They produce hair, not wool, which is called Mohair. Fits in with the spinning wheel photo. Little family, billy, nanny & kid. If they get a bug in their hair how in the world do they scratch much less get it out??? ?